Watch for Bonnie at a clinic near you! She maintains a busy schedule around the country, teaching riders from Beginner Novice through Advanced. Bonnie’s clinics focus on the importance of basic flat work skills and how they apply to even the most technical jumping exercises. Clinic formats vary from location to location, depending on the available facilities and wishes of the individual clinic organizers. However, you can typically expect a day of gymnastic ring work and a day of full course work, or cross country schooling when it is available. Bonnie is always interested in holding clinics at new facilities but her weekends book up fast! Please contact Bonnie if you would like to arrange a clinic in your area. In the meantime, check below for Bonnie's most up to date clinic schedule. 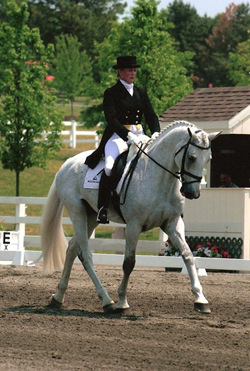 Bonnie is proud to announce that Nunn Finer is the title sponsor of all her clinics. All clinic participants receive a selection of Nunn Finer products!